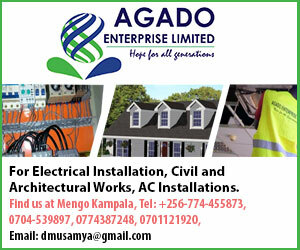 The struggle for power in Wandageya market between the market’s former chairperson Mutesasira Mawejje and the current chairperson Jonathan Ggita is brewing a fight the Kampala Capital City Authority (KCCA) might not want to witness. Mutesasira was the chairman of the market before KCCA razed it and constructed two modern blocks. 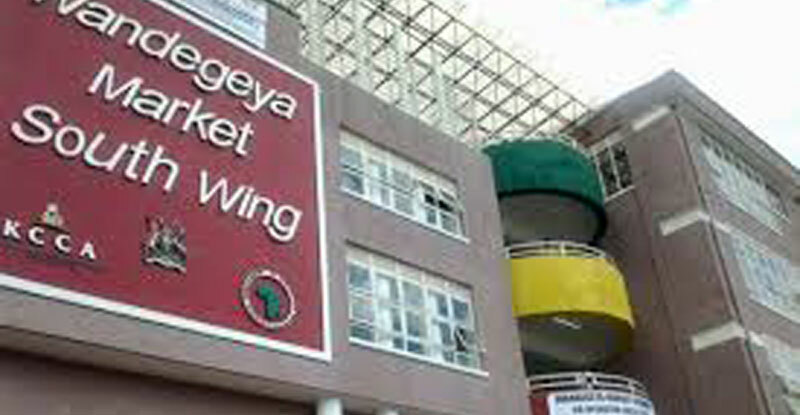 In July 2013 the then KCCA Executive Director Jennifer Musisi appointed an interim committee, chaired by Ggita, to manage the market apparently for two years but the committee has since never been replaced. Currently, Mutesasira is claiming to fight for the vendors whom he says are being tortured by the current committee. “How can someone fail to rent a government structure when they can afford to rent from an individual? That is unimaginable,” Mutesasira stated in a meeting last week. On Wednesday January 8 a Mutesasira led group attempted to force itself into the market and was blocked by the Police. Its leaders were detained, though briefly. “We came here in good faith to assess the situation in which the vendors were operating. Why are they stopping us?” Mutesasira pleaded as he was being led to the Wandegeya Police Station. Salim Waswa Ntogo, the chairperson of Wandageya parish, who also accompanied Mutesasira, told The Sunrise that they had entered the market to exercise their authority – to assess the situation under which the vendors were operating. When they were released, they again led their group to the compound of the market where supporters of both sides exchanged bitter words. Harriet Namubiru, one of the tenants in this market accused the current chairperson of denying people lockups when they come to rent them. “We have over 30 lockups inside that are unoccupied but whenever people come to rent them, Ggita doesn’t allow,” Namubiru said. Ggita, however, dismissed the allegations saying the group was pursuing its own interest. “They all know that the Lord Mayor should first sign the law that allows vendors to elect their leaders which he has not yet done,” Ggita said. Ggita added: “If possible let the Lord Mayor sign the law today or tomorrow so that they can elect their leaders. I want it so much” he added. On the issue of high prices for lockups, Ggita said that it was the KCCA which decided the rates, not the market committee. “Here we just give them the forms and they deposit money in the bank for the government. It is the KCCA that decides the rates. You can even see on the posters that are displayed across the whole market,” he said. Peter Kauju, the KCCA Public Relation Officer said when contacted that they were reviewing the leadership of all markets in the city. “We are working on that issue and within a few weeks we shall announce and vendors shall be able to elect their leaders,” Kauju said.